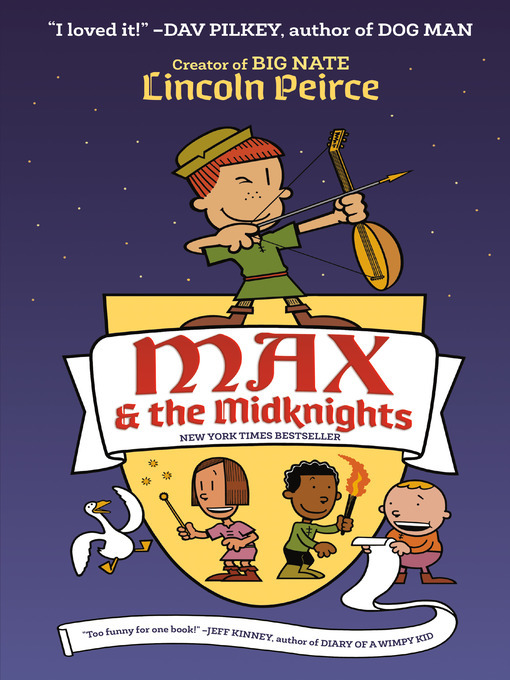 Join Max's quest to become a knight in this laugh-filled adventure from the New York Times bestselling author of the Big Nate series! Max wants to be a knight! Too bad that dream is about as likely as finding a friendly dragon. But when Max's uncle Budrick is kidnapped by the cruel King Gastley, Max has to act...and fast! Joined by a band of brave adventurers—the Midknights—Max sets out on a thrilling quest: to save Uncle Budrick and restore the realm of Byjovia to its former high spirits!